This entry was posted on June 27, 2011 by Russell Smith. It was filed under Street, Urban and was tagged with arrest, Blvd, California, handcuffs, Hollywood, Hollywood Boulevard, police, postaday2011. 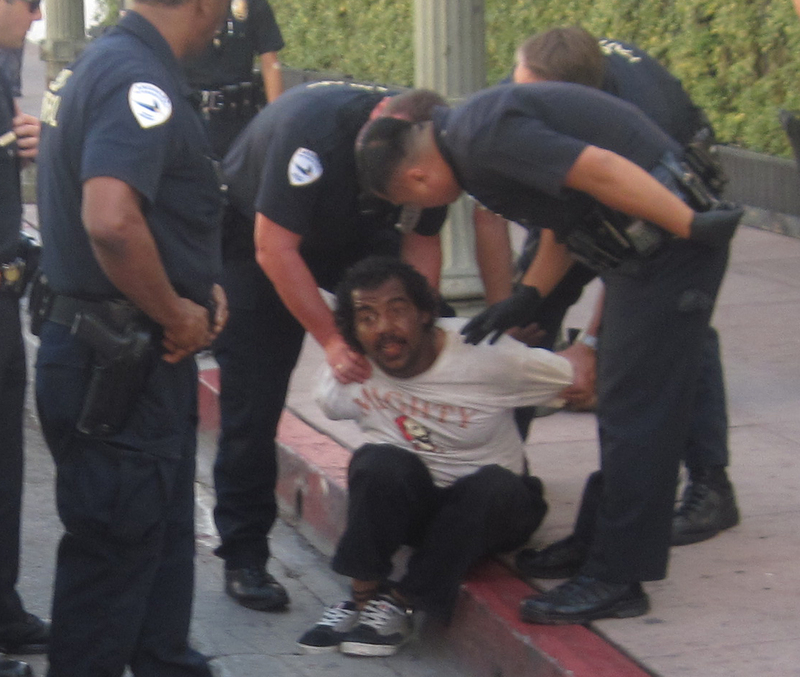 Droll, sad, how many cops to take down the poor guy?